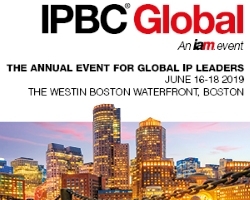 In a recent article, Manny Schecter, Chief Patent Counsel at IBM and President of the IPO Education Foundation, was right to point out that increased IP awareness does not necessarily reflect people’s genuine IP understanding or their IP literacy. But what does that matter, and to whom? The ‘general public’ is a complex mix of IP illiterati including people whose IP curiosity will probably never reach beyond a vague awareness of wrongdoing for enjoying illicit downloads or counterfeit designer brands. For them, the education system is beginning to wake up to the importance of including IP references in school citizenship classes. They may never be concerned about how IP fuels our innovation economy or facilitates creative thinking, but they need to be protected from the potential criminality to which their lack of IP knowledge could lead. Different, but no less lacking in IP knowledge, is the segment of the public whose IP awareness, however vague, has resonated with them. They may be entrepreneurs who realize IP’s relevance to their commercial success. 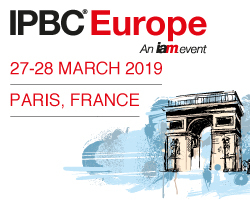 They are the group to whom international and national IP institutions (USPTO, UKIPO, EUIPO, WIPO etc) are keen to make available the short catchy sound bites that may capture attention but fall short on vital information. These resources will never compensate for a lack of a deeper IP understanding. They can trigger an expectation that IP problems will have a right answer, that should be easy to reach. The public doesn’t need more catchy phrases about what IP rights are. Instead, IP institutions should be braver about telling the public that IP is difficult. They need to encourage a more critical approach by the general public to the IP they encounter, prompting them to think about the relevant questions that could be posed to colleagues, professional advisers or online resources capable of providing relevant information. 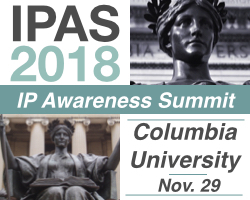 College students are a prime target for IP education that will encourage them to respect and question the legal regimes that will shape their careers and enable them to graduate as more enlightened members of society. For them, patents will be important, alongside trademarks, copyrights and design rights. For all, the rules relating to confidentiality and trade secrets have a crucial significance. Faculties are encouraged to allocate time to convey IP education. There is clear evidence that it would be well received. 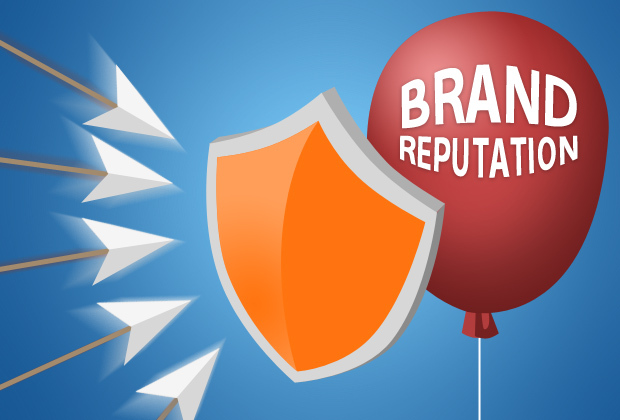 Research that supports this strategy was undertaken by the Intellectual Property Awareness Network with the UK National Union of Students into student and academic attitudes to IP education and IP policies in Higher Education institutes. A recent approach I have used with participants from the UK’s Arts and Creative industries sector on the Boosting Resilience Arts Council England project, involves using an Intellectual Property Management Decision Tree. The Tree is a graphic representation designed to provide a framework to assist discussion by the general public of an IP issue. Around the roots are listed the intellectual property concepts that may be relevant to the issue. Using the Tree helps if an educator is familiar with the concepts. But if they are unfamiliar the trunk holds addresses of online resources that will provide basic explanatory material. Most important, the branches hold five key questions to be answered when faced with an IP problem. When used by Boosting Resilience workshop participants (senior managers of UK Arts and Creative industries enterprises) feedback suggested the Tree had proved a useful device to stimulate small group discussion of IP problems. Encouraging questions about IP matters challenges assumptions and establishes that there are no easy and few definitive answers. 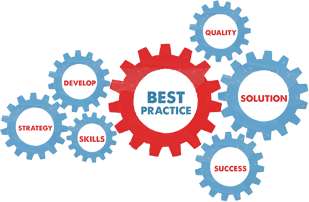 This, in turn, builds confidence to seek out the best advice when faced with IP challenges – to draw upon the best resources. 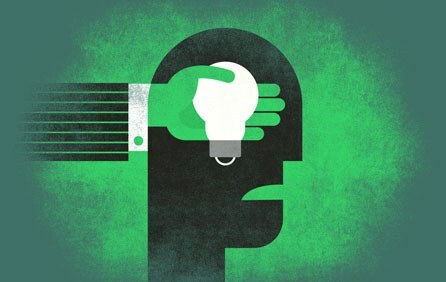 The public may well never fully understand IP rights or how they achieve their intended purpose. That should not deter IP enthusiasts from their responsibility to help the public tackle the big IP questions that are intrinsic to their lives and future. 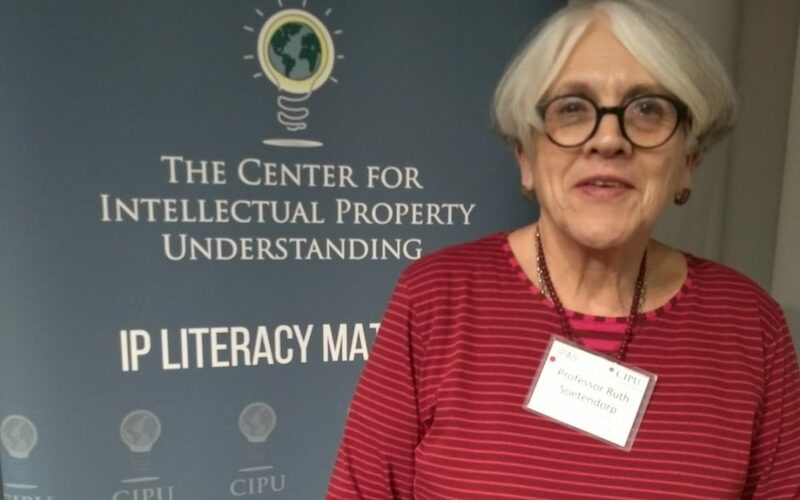 Ruth Soetendorp is a pioneer in promoting IP education for non-lawyers, across all disciplines. Professor Soetendorp has published research with EUIPO, UKIPO, IPAN and the National Union of Students, and has worked with WIPO, EPO and the EC to bring IP education to the international community. She is currently Professor Emerita and Associate Director of the Centre for Intellectual Property Policy & Management at Bournemouth University and a Visiting Academic at Cass Business School, City University of London. More than half of Google and Microsoft’s 2014 US patent grants were in methods-related classes. IBM and Apple also were active filers in these areas. Patent values are down, partially a result of recent court decisions and legislation. But not everyone is writing-off software and method patents, even though they are among the most difficult to defend. 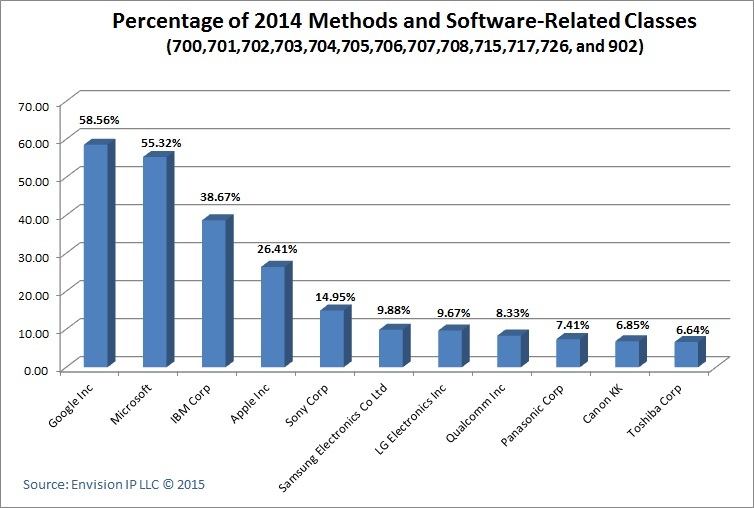 In fact, software and methods patents comprise surprisingly high portions of four leading US companies’ 2014 grants. Better than half of the patents issued to Google and Microsoft by the United States Patent and Trademark Office (USPTO) in 2014 were methods-related patents, and more than one-third to IBM and one-quarter to Apple. 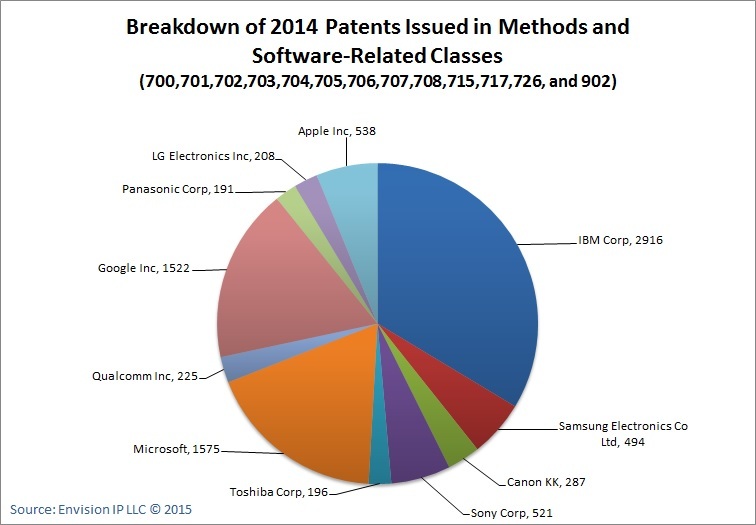 This is according to data collected and analyzed by Envision IP, a law firm specializing in patent research. CLS Bank v. Alice decided in June by the United States Supreme Court made the bar for affirming software patents considerably higher than in the past. Software inventions now have to show that they are not directed to mere abstract ideas or that they are not simply existing solutions that have been expressed with a computer. The Patent Trial and Appeal Board (PTAB), which was established as a result of the American Invents Act, also made proving validity more challenging, especially for methods patents. 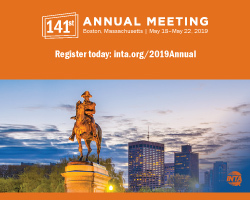 Reviews to date have invalidated nearly 78% of claims in cases instituted by the PTAB, with almost a quarter of all AIA petitions filed in fiscal year 2015 directed towards methods claims. Companies intent on obtaining method patents include Google, for the first time in 2014 in the top ten of US patent recipients, in eighth place just behind Toshiba and Qualcomm. Of the 2,599 US patents granted last year to Google, 1,522, or 59% were in the methods classes. Microsoft, with 2,847 patents received, had 1,575, or 55%, that fall under the heading of methods. 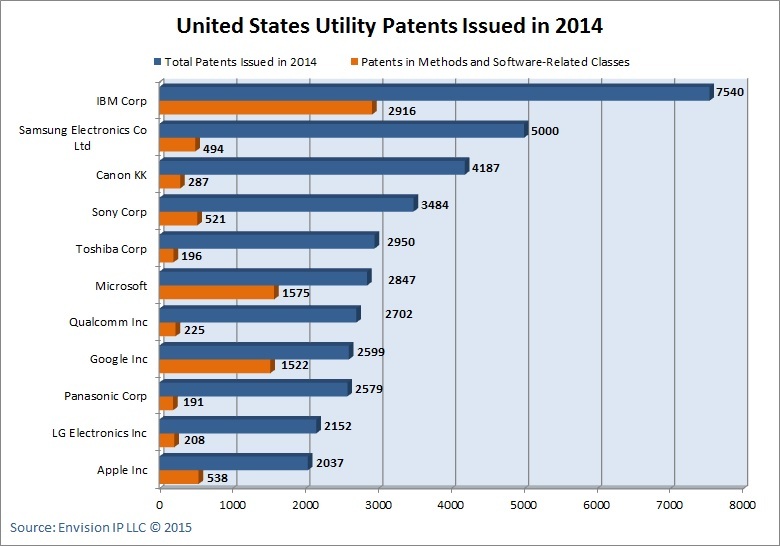 Perennial US patent recipient leader IBM secured 7,540 patents, and received the most methods-related patents with 2,916, 39% of its total grants for last year. Not to be outdone was Apple, with 2,037 patents, 538 or 26%, which are associated with software and methods. Samsung, LG, Qualcomm, Panasonic, Canon and Toshiba, all top-ten US patent recipients for 2014, secured less than 10% in methods. 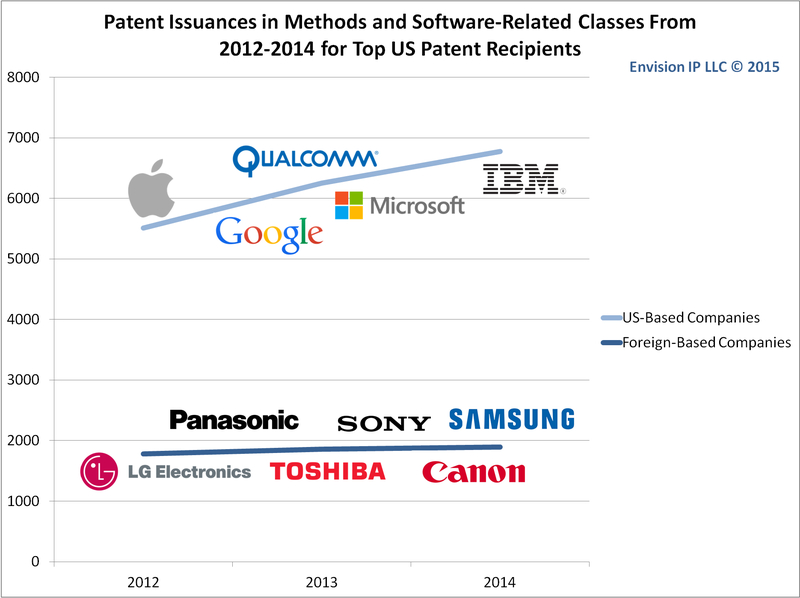 Methods patents were up slightly for IBM, Microsoft and Apple from 2013 and 2012. However, Google received 69% more methods patents in 2013 than it did in 2012 (1,225 vs. 723) and 24% more in 2014 than the previous year (1,522 vs. 1,225). Our analysis indicates that many of the foreign multinational technology companies that top the list of US patent recipients are focused on receiving hardware and non-software related patents. For example, less than one-tenth of the patents issued last year to Samsung Electronics, Canon, Toshiba, Panasonic, and LG Electronics, all top-ten US patent recipients, were in the methods and software-related classes that we analyzed. This is not necessarily surprising, as these Korean and Japanese technology icons have for decades been known for their diversified consumer electronics products, notably televisions, cameras, and media players. Microsoft, Apple, Google, and Sony tend to sell products that are software or methods-dependent and are connected to smart devices powered by cloud technologies. We would expect these companies to have a higher percentage of recently issued patents in software and methods-related classes. The data also suggest that some large filers may believe that their software and methods-related patents are better than others that have been previously granted and can be defended, if necessary. Another possibility is that recent methods recipients believe there is little likelihood that their patents will ever be tested in court or at the PTAB. Maulin Shah, Esq., is Managing Attorney of Envision IP, a specialty law firm focused on patent research and invalidity studies. He holds dual BSc degrees in Electrical and Biomedical Engineering from Duke University and practiced patent law at Snell & Wilmer LLP before starting Envision IP. 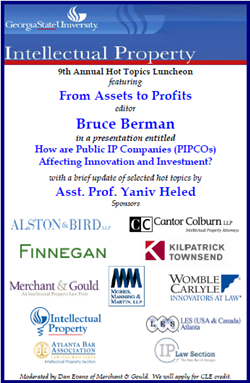 Bruce Berman heads Brody Berman Associates, a strategic communications firm that helps to differentiate IP rights and holders. 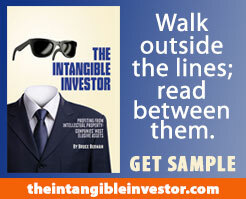 He is responsible for five books, including From Ideas to Assets and The Intangible Investor. *A previous version of this post ran on IP Watchdog. 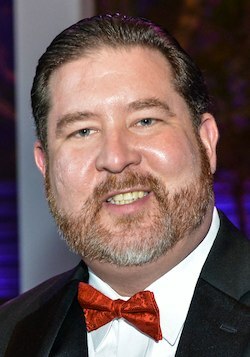 Innovation is not threatened by patent “trolls,” says a Virginia IP attorney, but by half-truths about the failure of the patent system spread by businesses looking to defend their turf. The publisher of IP Watchdog, one of the most widely read blogs in the patent field, went from watchdog to bulldog this week, taking on businesses and lawmakers who falsely deride the patent system. Gene Quinn, a seasoned patent attorney, says that the patent system is not dysfunctional. It’s many of the most established technology companies looking to stay on top who are. Silicon Valley’s Anti-Patent Propaganda: Success at What Cost? is required reading for everyone affected by IP, especially those who believe that patent enforcement is ruining innovation and destroying the economy. Patent holders, small and large, NPE and operating company will find the article revealing if not relevant. Whether we wish to believe it or not Silicon Valley is knee-deep in mature businesses. It is vaguely reminiscent of Detroit’s golden age, when new ideas in the automobile industry and real competition were considered a nuisance. Don’t let the overstuffed patent portfolios of many technology companies fool you: These are not patent friendly businesses and won’t be until they figure out, as Microsoft and Philips have, how to profit from good patents. One wonders if some Silicon Valley tech companies have become too big not to fail? “Despite what some have been lead to believe, Google is a company that was founded on strong patent protection, having filed two patent applications prior to even obtaining the domain name Google.com. These patents related to Google’s proprietary page rank algorithm. The Google search algorithms, protected by patents, were how Google moved from fledgling start-up to eventually dominate the likes of Yahoo! and Microsoft. “Simply stated, like virtually every other Silicon Valley start-up Google relied on the exclusive rights provided by patents and now that they are dominant they would prefer the patent system to evaporate so that the next round of dorm-room start-ups won’t be able to challenge Google in the same way that Google supplanted Yahoo! and Microsoft. Quinn’s strong words remind us that we live in a still great country with an active if imperfect legal system and a free press that, like patents, sometimes must be used to be fully appreciated. Big Blue may be caught in its image as the perennial patents-received leader, for better or worse. Obtaining large numbers of patents is often more effective for large companies than securing a handful of really good ones. U.S. patent count leader IBM, which has boldly dominated patents-received for two decades, has made something of an art in the science of securing IP rights. It has obtained 46,000 U.S. patents since 2000, and more than 6,000 in 2011 alone. Of those, it has allowed about two-thirds to lapse. Until recently, companies like Google and Apple had chosen not to compete in this costly and somewhat cynical numbers game. Winning the patent count race means more to large IT businesses than others. However, the patents a business receives should not be confused with those it holds or is able capitalize on because of the inventions they read on. Does IBM know something about IP management that other companies do not? Or are cash-rich Google and Apple simply prepared to make bold purchases or settlements when necessary for defensive purposes? Some think that IBM is caught in its own IP image, believing to appear innovative more patents are inevitably better. When Narcissus fell in love with his reflection in a pool of water, he got soaked. If I recall my Greek Mythology correctly it was Nemesis that attracted Narcissus to the pool in the first place. The value of IBM’s volume strategy, which is generally more meaningful to large consumer products companies, such as smart phone makers, may be less readily cost-justified than it once was. Many companies like H-P and AT&T are filing about the same number of patents or even fewer than in the past, concentrating on balancing patent counts, quality and current needs. In the January IAM magazine (number 57), which will be published next week, the Intangible Investor is devoted to IBM’s out-sized lead in obtaining patents. (They allow most to lapse within about 24 months, suggesting that for some holders it is as important to keep patents out of the hands of the wrong parties as it is to maintain them.) Emphasizing their patent-securing prowess has until now has worked for Big Blue, an IP licensing powerhouse that is seldom sued for infringement. With its business model now focused on services, and the public smarter about IP rights, IBM is not in need of more patents, but better ones. Of course it depends on how they intend to use them and on how they choose to measure performance. Is Big Blue’s volume approach — which it shares with Intellectual Ventures and several defensive-mined Japanese companies like NEC, Hitachi, Sony and Canon — a relic of patent wars past? 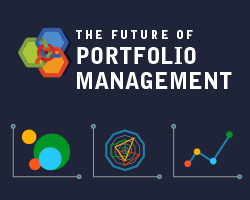 Patent portfolios are a means to support innovation and and facilitate performance, not an end to qualify them. Expert witnesses in patent infringement cases often are the subject of intense scrutiny. Zealous opposing counsel may invoke innovative lines of questioning in the hope of casting a negative light on experts or their testimony. In the sometimes comic article below patent valuation expert Russell Parr, author of eight books on IP which have been translated into five languages, writes about how the Daubert motion, like an eccentric family member, can wreak havoc on an otherwise orderly gathering. Be sure to read the first citation. 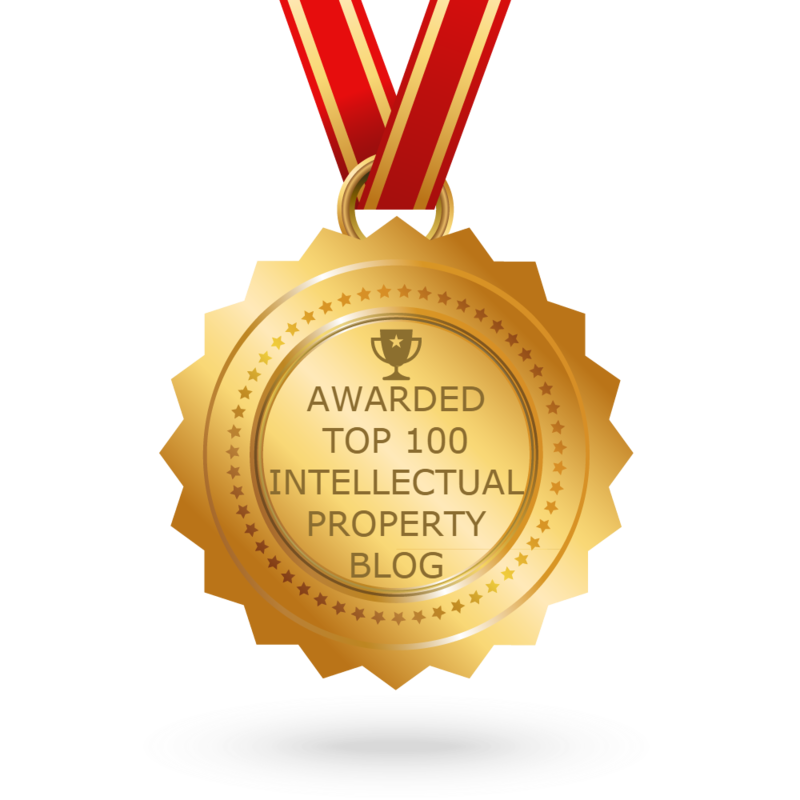 Russell’s previous contribution to IP CloseUp was “Patents: Use Them or Lose Them.” He is President of Intellectual Property Research Associates, Inc. (IPRA). Every family has one, a strange cousin or uncle that is just a little emotionally disturbed. [ii] Let’s call him Daubert. These miscreants can be found at family gatherings, usually sitting quietly in a corner unengaged. Most of the time they happily entertain themselves by watching a small stain of drool slowly grow on their shirts. It’s okay. Daubert is part of the family and everyone should be in attendance. The family happily swirls around him enjoying the warmth of a holiday party. Below the surface however the entire family feels a slight sense of fear. Purveying the joyous occasion is a sense of fear felt by everyone in attendance. A question fills everyone with dread, “Is our strange little family member going to blow?” Invariably, one of the partiers, usually a lawyer in the family, approaches the drool stained Daubert and triggers an unnecessary and wasteful explosion. Daubert immediately enters into an uncontrollable fuming rage, screaming, running, knocking over furniture, breaking glasses, and eventually accusing the family cat of incompetence. It seems that Daubert is upset that Fluffy does not kill mice by the traditional method of shredding the pest with force from its hind legs. Fluffy prefers to perform pest control services with simple actions that require only the use of its front paws and claws. This departure from tradition is an affront to Daubert and he can’t control himself from raising a fierce protest to the family elder, demanding that Fluffy be immediately and forever removed from the proceedings for unconscionable behavior and the use of cat methods contrary to accepted practice. Eventually cooler heads prevail and the celebration returns to normal. Fluffy is exonerated and allowed to kill pests in whatever manner she likes. Unfortunately the outburst was completely unnecessary. I was recently giving a deposition. [iii] Questions were being raised regarding a few details about my educational background. I was happy to answer them. A slight pause in the action was followed by a question that asked if I had performed a regression analysis. My mind raced. I was wondering if there was a possibility that I should have performed an analysis correlating my course grades with my age. I guessed that such analysis might show that my grades had increased with age as I gained wisdom or, hopefully not, had deteriorated as age and alcohol consumption resulted in lost brain cells. Maybe I should have correlated my grades with what I had eaten on the day of finals for each course, which of course would have been impossible to perform because I do not keep dietary journals extending back to my college days. Not sure about the question I asked for clarification. My question generated the response, “Don’t you know about regression analysis?” I hesitated to answer while thinking, “Of course I know about regression analysis, you dolt, I can do regression analysis in my head”[iv]. Instead I responded that I wasn’t sure how the question related to the topic of my education. It turns out, we were done with educational questions and the pause before the regression analysis question indicated that we had begun a new line of questions. It turns out that it was a simple question, “At anytime in your analysis, did you do a regression analysis using any data”? For the matter at hand the answer was no. For the matter at hand there was no data to correlate. In fact the defendant had refused to provide information that might have been regressed but for the record it really didn’t matter because a regression analysis would not have taught anyone anything useful. Nonetheless my questioner, actually now accuser, wanted to know if I had bothered to perform a useless statistical exercise. I said that I had not. With great pleasure, my accuser then asked if I had conducted any consumer surveys, demands curves, or econometric models? My confusion cleared almost immediately, I was being set up for a Daubert motion. For those readers that have been away from the planet for awhile I will briefly and generally described a Daubert motion. All others are asked for forgiveness as I drag you through the obvious. A Daubert motion is a specific type of motion in limine. It is raised before or during trial, to exclude the presentation of unqualified evidence to the jury. A Daubert motion is used to exclude the testimony of an expert witness not possessing the requisite level of expertise or using questionable methods to obtain data. A Daubert motion is the outcome of 1993 Supreme Court case, Daubert v. Merrell Dow Pharms., 509 U.S. 579 (U.S. 1993). Rules 702 and 703 of the Federal Rules of Evidence govern the admission of scientific evidence in federal court. The rules allow expert witnesses greater leniency in their testimony because it is presumed that the expert will have a reliable basis in knowledge and expertise in his field. The court in Daubert required that trial judges act as a gatekeeper and determine the scientific validity of scientific evidence before admitting it. The guidelines in the decision is now been expanded to include technical and specialized knowledge testimony as well. Basically this sounds like a good idea. Protecting the jury from hearing the ideas of a wacko certainly should improve the judicial system. Of course, all good ideas are pushed to the extreme and eventually off a cliff. As it currently stands, whenever a lawyer hears an opinion at a deposition he or she doesn’t like the focus of the deposition dramatically departs from anything of substance and seeks all manner of crap that can be thrown against the wall for use against the expert in a motion to exclude them from testifying at trial. Unfortunately, in response, all experts must now incorporate additional, and often useless, elements to their already comprehensive and well reasoned opinion. The remainder of this article will attempt to provide guidance to offset the attacks of those preferring form over substance. Somewhere along the way, in patent infringement cases, the idea emerged that demand for a particular patented feature should be demonstrated instead of solely showing demand for underlying product that incorporated a specific patented feature. As an example, if a cell phone was improved by incorporating a beard trimmer it could be important to show that sales of the cell phone were directly driven by consumer demand for the beard trimming feature. Not a bad idea, but how can this be accomplished? I suspect that also somewhere along the way a judge heard the phrase “demand curve” and wanted to see such an analysis in every case they presided over. Unfortunately, a classic demand curve in no way can provide any insight into any consumer’s desire for a specific patented feature. Let me explain. Interestingly, the demand curve is not “smooth”. Not until prices become excessively high is there a steep decline in demand. There is another meaning to “smooth”. Occasionally, adjustments to the underlying data are needed to “smooth” out aberrations such as when spikes in inflation distort the results of the overall. Such adjustments are similar to seasonal adjustments made to employment and retails economic indicators. The graph above provides information about the overall demand for cocaine as prices change but it can tell us nothing about demand for the cocaine with the patented bubble gum pink color. 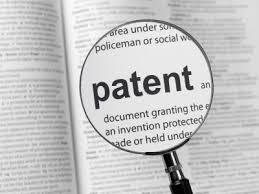 More important is to consider the reality of most patent infringement proceedings. In most cases[vi] the period during which the product accused of infringement is sold is only a few years and the price at which the product sold remained constant. Here is the associated demand curve. It can be universally used for most cases. [vii] Really useful yeah? Since demand curves cannot provide a connection between a patented feature and consumer’s preferences another method is required. How about asking a bunch of consumers for their opinion? [viii] Well, this is not going to work in many cases. Consider an established product generating millions of units in sales and extraordinary profits. Now add to the equation a manufacturer that invents a new patented internal component making manufacturing infinitely less expensive. Profits then become extra-extraordinary. When competitors discover the new internal component and copy it in order to remain competitive an infringement lawsuit results. Showing consumer demand for the patented internal component is not possible. Product users do not know or care about cost saving inventions. They aren’t even aware of how the product works. 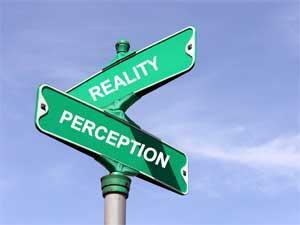 Nonetheless, expert reports should present customer surveys. Feel free to use the follow results to a question I asked 100 people at random[ix]. In statistics, regression analysis includes many techniques for modeling and analyzing several variables, when the focus is on the relationship between a dependent variable and one or more independent variables. More specifically, regression analysis helps us understand how the typical value of the dependent variable changes when any one of the independent variables is varied, while the other independent variables are held fixed. To grasp the basic concept of regression analysis, take the simplest form of such an analysis: a linear, bivariate regression, which describes an unchanging relationship between two phenomena. Now suppose you are wondering if there is a connection between the time high school students spend doing homework and the grades they receive. These types of data can be plotted as points on a graph, where the x-axis is the average number of hours per week a student studies, and the y-axis represents exam scores out of 100. Together, the data points will typically scatter a bit on the graph. 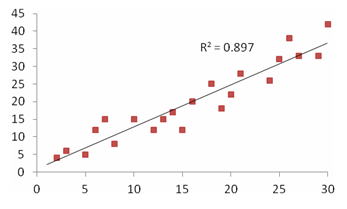 The regression analysis creates the single line that best summarizes the distribution of points. This may be interesting but it is useless for patent infringement damages calculations. Yet criticism abounds for those that do not consider a regression analysis as part of a damages analysis. To help out, here is a regression analysis that can be inserted into report. The data graphed above shows the relationship between the income of 60 year old men and the number of conquests of 30-year-old women they experienced. Of course this analysis is irrelevant to any patent infringement case but when asked, “Did you do any regression analysis?”, you can answer affirmatively. Copious footnotes are recommended, the longer the better. They should pontificate and ramble. As you may have noticed this article includes many footnotes that do nothing to improve a reader’s understanding of the material being presented. Apologies are extended for the brevity of the footnotes associated with this article. I am still adjusting to the need for polluting superfluous information into my writings. I am sure that this can be remedied by a survey of educational conferences that are offered by professional societies. I am certain that a course is offered about making long footnotes while saying nothing but still looking impressive. My search begins shortly. Experts being extended the compliment and honor of testifying at trial should always present their ultimate efforts by providing the best analysis that can be accomplished with information available. Unfortunately such an analysis must now also be accompanied by additional materials of less usefulness. [x] This article does not recommend in any way the abandonment of substance but sadly recommends the addition of useless junk until our disturbed Daubert relative stops being abused by some of our overly aggressive family members. I wish to extend my undying gratitude to judges that quickly deny superficial Daubert motions. [i] Russell L. Parr is president of IPRA, Inc. He is an expert at the valuation of intellectual property. The designation CFA stands for Chartered Financial Analyst awarded by the Chartered Financial Analysts Institute. The designation ASA stands for Accredited Senior Appraiser awarded by the American Society of Appraisers. The designation CLP stands for Certified Licensing Professional awarded by the Licensing Executive Society. The designation RPOP stands for Really Pissed-off Professional awarded by the newly created Society for Professionals Frustrated by the Demand for Form over Substance. 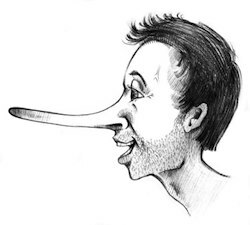 [ii] It should be noted that a survey has not be conducted to statistically show the number of families with strange family members and this supposition is only supported by anecdotal evidence the author has experienced over his lifetime of experience. [iii] I have deposed by too many lawyers to remember so please do not attempt to identify this fictional exchange with a particular individual – just don’t go there. [iv] Truth be told, I cannot actually perform regression analysis in my head. I was just being dramatic. I rely on elegant software that easily performs regression analysis on the occasions that such an analysis is useful for gaining insight which was absent for the referenced fictional instance. Also swirling in my head were judgmental thoughts about being accused of not understanding regression analysis by someone I suspected spent most of their undergraduate years experimenting with Margarita recipes and impregnating cheerleaders. I also suspected that my accuser had only attended law school in order to delay entrance into the real world, not having any meaningful idea of what to do with their life. [v] Readers should not be surprised that Mexican drug cartels retain volume and pricing data as these organizations behave in a sophisticated manner rivaling that of many multi-national corporations. The results of the information presented should not be interpreted as representative of the experiences of all drug cartels such as those found in other South American countries or in Asia. [vi] “Most cases” is not supported by any rigorous statistical analysis but based on my best guess which of course is speculative and therefore obviously open to a Daubert challenge. [viii] A “bunch” of consumers will absolutely result in ridicule because the sample size of those questioned will be accused of not being representative of the entire market. This problem can be solved by asking every current and potential purchaser in the world of the product for their opinion. If this is accomplished, the wording of the questions asked to the entire world will be criticized as misleading. Language translation will surely be involved in the criticism. [ix] Full disclosure requires that I report that while questioning three young mothers their baby spit-up on me and two small children kicked me (their mothers are among those answering NO). [x] Experts wishing to decorate their reports with bells and whistles should feel free to use any of the information in this article. The value of energy assets has taken a giant leap backward. What used to be simply bricks and mortar has transformed into billions of dollars’ worth of Research and Development that can now be acquired for nominal cost. U.S. Companies invested vast sums in developing intellectual property and, as such, creating valuable intangible assets which can now be obtained for little or even zero consideration. Substantial funding, with heavy contributions from the government in the form of loan guarantees, tax credits and political capital, have aided in the advancement of alternative energy assets and companies of all types. These government subsidized commitments often reside on the balance sheet as undervalued tangible and/or intangible assets. This raises the question as to where the dollars from federal assistance programs have gone. The alternative energy industry now is struggling for financial stability, as exemplified by the proliferation of alternative energy company bankruptcies. The future of alternative fuel technologies in theU.S.is bleak. The vulnerable financial status of manyU.S.alternative energy companies has provided a forum for non-U.S. companies to gain inexpensive access to federally funded proprietary technologies and developments often protected byU.S.patent laws. The most glaring example of this poaching is in the area of solar power. The high-profile bankruptcy of Solyndra, in which the government loaned $535 million prior to the company’s filing for a Chapter 7 liquidation brings to light a disturbing new trend – opening the door for other entities to gain intellectual energy advances at discounted prices (see Solyndra Debacle). Solyndra has parceled up its assets in such a fashion that foreign buyers, notably the Chinese, can forgo the purchase of hard assets and instead focus on intellectual assets, arguably creating more wealth, on face value, for the bankruptcy estate. 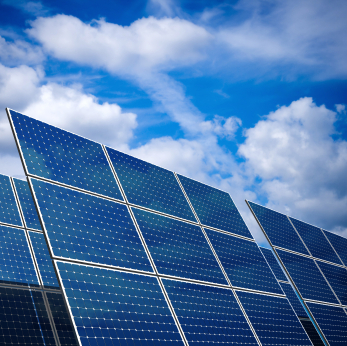 The U.S.Department of Energy has moved to block the sale of solar panel manufacturing patents to Chinese companies. Yet, Solyndra is a “win-win” for any foreigner seeking specific assets instead of the burden of having to take the traditional bundle of bankruptcy estate assets. This approach only serves to give away the billions of federal investment in new technologies (see Solyndra Patents). There is a growing failure rate of alternative energy companies, another example being Evergreen Solar (see Evergreen Patents) a manufacturer of solar panels. Evergreen is also in the process of liquidating (rather than reorganizing), raising again the question of who gets the patent rights and ultimately the patent protection. Evergreen’s patents as well as other intangible assets have effectively been underwritten by the U.S. Government. Evergreen embarked on a reshuffling of its assets and cost cutting pending its demise. This has only served to reinforce the new “norm”. Evergreen has already shifted some of its production to China and is expected to remain an ongoing business pending talks with Chinese investors. Evergreen received a $58 million financial aid package from theU.S. government. A clear trend appears to be developing here. It appears that domestic alternative producers cannot find viable domestic markets. Accordingly, the intangible benefits, more specifically patents and other intellectual property developed with the financial aid of Federal and State grants, are being exported to foreign (often unfriendly) countries at a deep discount, as the market for American alternative projects proves to be too costly. A further example of an alternative energy supplier facing financial distress is Beacon Power Corp., a flywheel-based energy storage solution which has been forced into bankruptcy. On November 18th a Bankruptcy Judge considered limiting the company’s use of $43 million in backing used as part of the Department of Energy’s Aide Program. 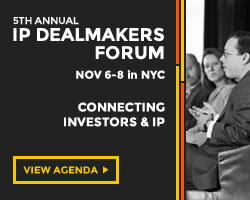 The value of the patents in a sale is one of the points being argued by Beacon on behalf of the DOE (see Beacon Power Corp). Daniel Scotto is the founder and Chief Executive Officer of Whitehall Financial Advisors, which specializes in the economics of the energy and transportation industries. Mr. Scotto has over 30 years of experience analyzing and advising energy companies, and has been an active participant in the forensic valuation of assets, rate case testimony and as a strategic advisor to both public utilities and alternative energy companies. Mr. Scotto was ranked the #1 energy and utility analyst by Institutional Investor for an unprecedented 10 years. He has served as Director of Research for BNP Paribas, Bear Stearns, DLJ, L.F. Rothschild and Standard & Poor’s. scotto@whitehallfinancial.com. 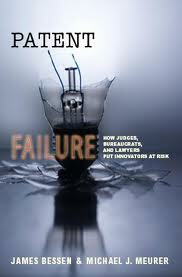 The publication of Patent Failure: How Judges, Bureaucrats and Lawyers Put Innovators at Risk (Princeton University Press, 2008) by James Bessen and Michael Meurer challenged the conventional wisdom on the relationship between patents and innovation. The authors basically posit that the poor boundary definitions of patents result in over-litigation. 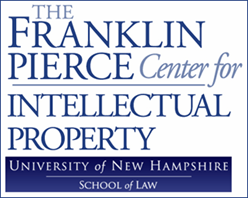 Arguing that the costs of litigation create disincentives for innovators, Bessen and Meurer suggest that the IP system has fundamentally failed as a system of property rights for public firms in the USA. Industry analysts and public commentators have jumped on the findings to justify various positions in patent reform debates. 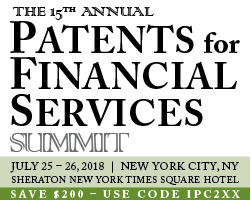 Patrick Anderson and Joff Wild have already responded to some of the shortcomings in the Patent Failure study, particularly with regard to the interplay between infringement suits, stock prices and NPEs. Bessen and Meurer have clearly taken a leaf from their own book. 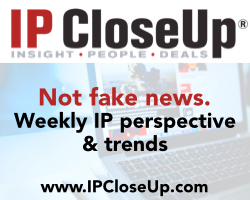 The conclusion that badly defined patent scope results in costly litigation is based on narrow definitions of patent trolls, public firms, high-technology industries and litigation costs. While this narrow scope is necessary to make their analysis feasible, the accompanying qualifications to their conclusions seem to have been lost in the ensuing storm. Patents do still provide incentives to individual inventors and to the chemical and pharmaceutical industries. They are also likely to provide positive incentives for private firms operating in multiple sectors. Yet, round after round of Chinese whispers has morphed the study into a declaration that the patent system is fundamentally broken, rather than an exploration of where it is challenged, why it faces problems and how we can solve them. That major high-technology firms supported the study, which concluded that patents on software are too abstract and ill-defined, naturally raises some questions. It is not surprising that major software patent infringers would welcome a declaration of a broken patent system. However, regardless of funding, these types of studies still fulfill important roles: 1) they encourage debate on the efficacy of the current IP system; 2) they identify avenues for possible reform. Perhaps it is here that Bessen and Meurer have the most to offer. Specialized courts such as the Federal Circuit have expanded their influence over patent law in the past twenty years. Whether or not this means patents no longer work, it is important to recognize this development and understand its impact in the USA. Identifying detailed mechanisms to render patent claims more transparent and improve patent search is another welcome contribution. Yet the suggestion that increased patent fees can reduce the number of patent applications may come at the cost of locking out smaller innovators and gearing the patent system towards large corporate actors. While the economic and philosophic underpinnings of Patent Failure are easy to follow and coherent, there seems to be less reflection about the possible consequences of their recommendations. Other suggestions, such as exemptions from infringement repayments when technology is invented independently from the patent owner, seem useful on the surface but may prove extremely difficult to implement in practice. Perhaps Bessen and Meurer’s most important contribution is simply the idea that the patent system must recognize the limits of its grasp, regardless of whether we currently know how to set those limits. 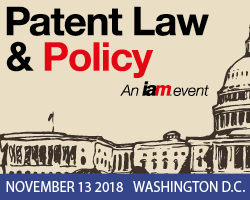 By recognizing these limits we can start to understand how national institutions can support patent law to fuel innovation in an era of new challenges and opportunities. Benjamin Gibert is a Research Associate with Oxfirst Ltd. Prior to joining the firm he was a research Associate in the University of Oxford where he graduated with distinction from Oxford and from Warwick University. The recent passage of The Leahy-Smith America Invents Act of 2011 is a blow to innovation and U.S. innovation investment, as well as to the economy as a whole. This inaptly named bill will have the exact opposite effect of what its title suggests. As a result of the changes in the law, the Patent and Trademark Office (PTO) will become more dysfunctional than it already is. It will be buried under an avalanche of additional work for which it will receive no additional resources or funding. Continuing diversion of PTO fees will further cripple the PTO under an ever-growing mountain of work. I believe fee diversion is unconstitutional. The fees are not public monies, but belong to the patent applicants. There is no statutory basis for Congress to take these funds. It represents an unauthorized tax on innovation. Yet the politicians all claim that they are unwilling to levy new taxes. Sec. 18 essentially guts any patents relating to the financial industry. I believe this provision is discriminatory and unconstitutional as it unfairly favors a particular industry by making it necessary for inventions relating to the financial industry to overcome more obstacles than any other type of inventions. I think this provision will be challenged in the courts and may well be overturned. Just as the banks were let off the hook for the 2008 meltdown, the financial industry is being given a free pass on financially related patents. First to file will definitely favor the big companies over individual inventors and small companies. The Post Grant Reviews allow prior art in the form of prior use and public disclosures to be presented before the PTO, even though the PTO is not set up for handling that kind of evidence. All software and business method patents have become weaker and less likely to be found valid. Because there are so many changes in the new law, it will take the courts 10 to 15 years to sort out what these new provisions really mean. I believe the PTO will have a difficult time coming up with a meaningful definition of “technological invention” under Sec. 18. Infringers are going to have a much easier time avoiding liability and patent owners are going to have a much more difficult time getting their patents through the morass at the PTO and greater difficulty in enforcing their patents. Overall, the U.S. Patent System has been dealt a serious blow, significantly weakening it for years to come. Not only will this new patent law fail to create more innovation and investment in innovation, but it will also destroy more jobs and discourage individual inventors, as well as investments in innovation. Additionally, this comes at the worst possible time when the U.S. economy is on the verge of going into another deep recession, if we are not already in recession. The infighting among individual Senators and Representatives to get their favors in the bill for specific companies and industries is shameful and disgraceful. The manner in which this patent “deform” legislation was passed represents a microcosm of what ails our current economic, financial, and governmental systems – they all no longer work because the special interests are totally in control of the country. Although the entire system is in gridlock, hopefully the voters will decide to take this country back from the special interests. Irving Rappaport has served as the head of IP departments at Apple, National Semiconductor and Medtronic, and held significant positions at Data General and Raytheon. He was recruited by Bally-Midway to chase Pac-Man clones during the first video game revolution, and came to Silicon Valley as Associate General Counsel for Intellectual Property and Licensing at Apple, where he built its IP department (1984-90). Irving also was a consultant to Intel and was responsible for suggesting the much copied Intel Inside® campaign. 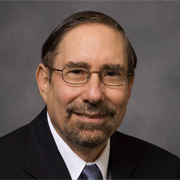 He has served as an expert witness in 32 cases and is a co-inventor on 16 U.S. patents. Earlier in his career he served as a USPTO patent examiner and a U.S. Army officer.